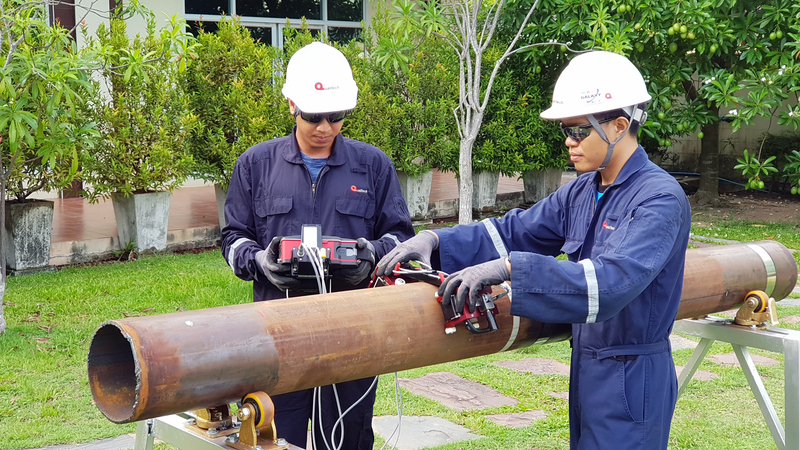 The MRUT uses medium-range guided waves with a typical inspection to detect corrosion, cracks and discontinuities on tubes, gas lines, oil pipelines and storage tanks. The system uses Electro Magnetic Acoustic Transducer (EMAT) technology to perform fast scanning on exposed tubes and tanks as well as inspections of inaccessible areas from a fixed position. With the use of higher frequencies and a shorter range, this technique detects isolated pitting and wall loss with up to 10 times better resolution than Long Range UT systems with minimal dead zone. Separate transmitter and receiver in through-transmission configuration send sound around the tube or across a plate to measure attenuation and/or velocity changes in the signal due to corrosion, cracks or other defects. Ideal for inspection under supports when the top of the tube is accessible or to inspect large spans of exposed pipe or tank walls at speeds up to 150 mm/s. The hand-held instruments are designed to be used with permanent magnet sensors. 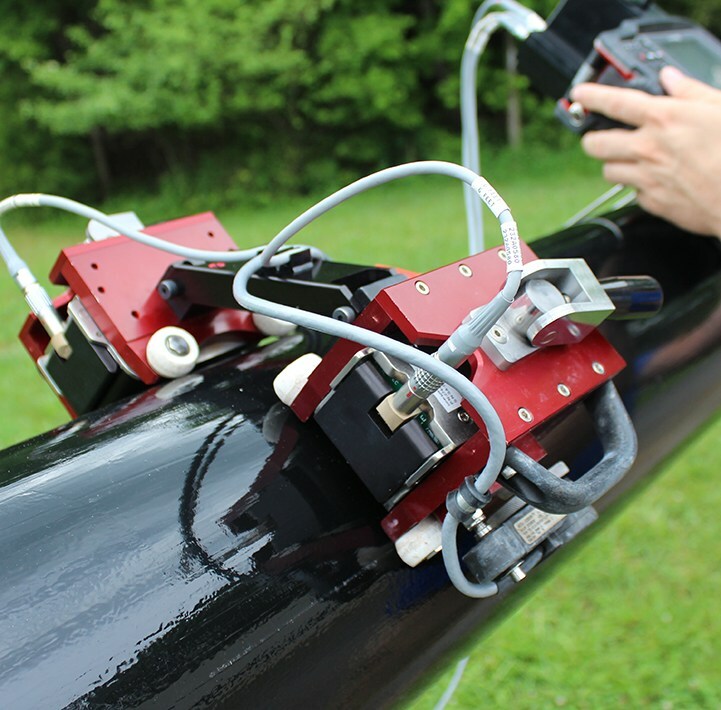 Single sensors send guided waves along a tube or a plate and measure reflections from any corrosion and defects up to 6 m in both side of the sensors. Ideal for inspection of pipes under supports, air-to-soil interfaces and any tubes and plates where there is no direct access to the area inspected. The equipment uses Shear Horizontal guided wave modes, including a new patent-pending magnetostrictive scanner.